[RHP] CDRs | [RHP] CDRs is a limited edition record label releasing music made by producers whom do not primarily or solely consider themselves to be musicians. 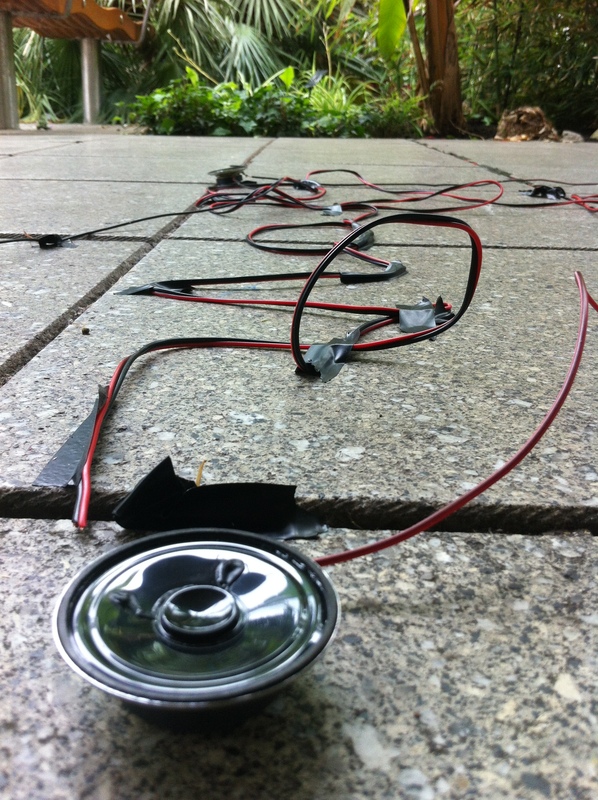 Review of Sound Based Works in Liverpool Biennial for Turning Point West Midlands. As a research unit [RHP] CDRs conducts a huge quantity of work which for whatever reason doesn’t result in any kind of resolved, public facing project; this includes being in constant dialogue with practitioners, academics, collectives and institutions from around the world. Throughout 2014 fragments from these discussions will be appearing online and in print as a part of [RHP] Transcripts. 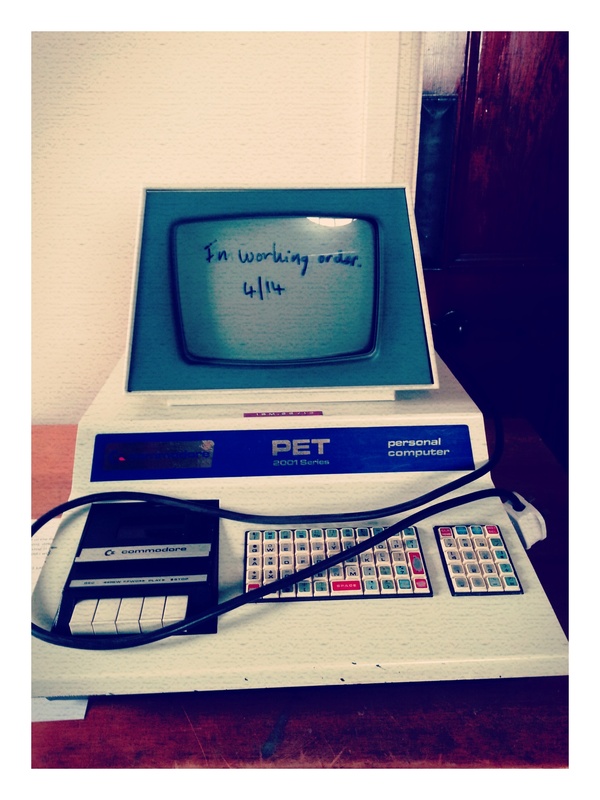 The most recent in this series of text’s is by Edinburgh based researcher and artwriter Jake Watts. We originally published this work as an A5 publication as a part of our Post-Modern Plant Life: An [RHP] CDRs Artist Laboratory project in Leamington Spa’a Jephson’s Gardens, the following is only an excerpt. Upon entering my eyes were drawn up to the canopy, flora and fauna amalgamated in an ascent towards the artificial environment’s glass cap. The prick, prick, prick of the plant’s perspired droplets descending into pools of stagnant water beside me echoed around the entrance. Between those intermittent punctuations the convection of industrial humidifiers droned onwards, suppressing the sounds of the insects to an indiscernible chatter. It was while ascending one of the sloping ramps, which tangentially kissed the sides of the sloped spherical atrium, when I saw a lollygagging Vanessa atalanta, the Red Admiral butterfly descend upon an older woman’s arm.Her attention was focused on a macaw that was propelling itself across the enclosure, she didn’t see nor feel it landing on her bicep. 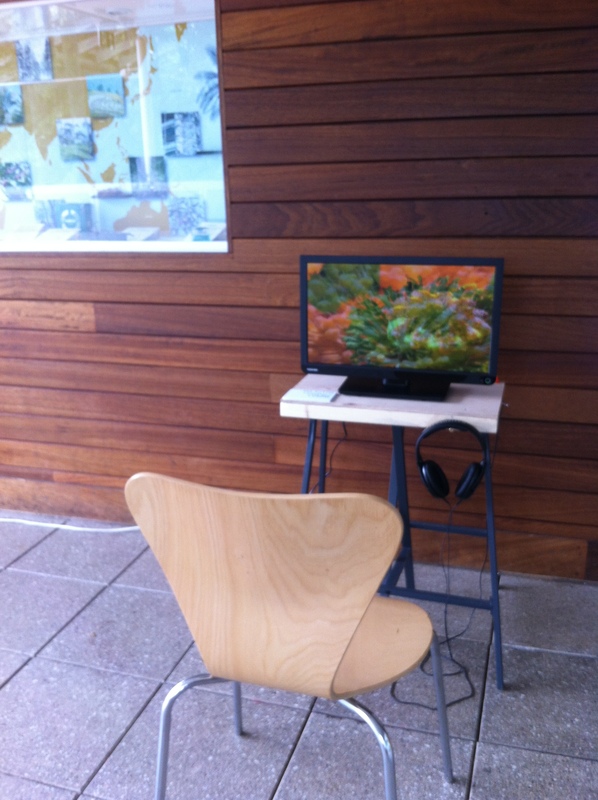 As part of the artist lab in the temperate house, jephson’s garden, leamington spa I created a small audio installation consisting of field recordings of the plants and soil and my voice. Speakers buried in the soil play my voice singing an extract from Abraham Cowley’s poem/essay “The Garden” while speakers on the ground play recordings of the plants and soil. 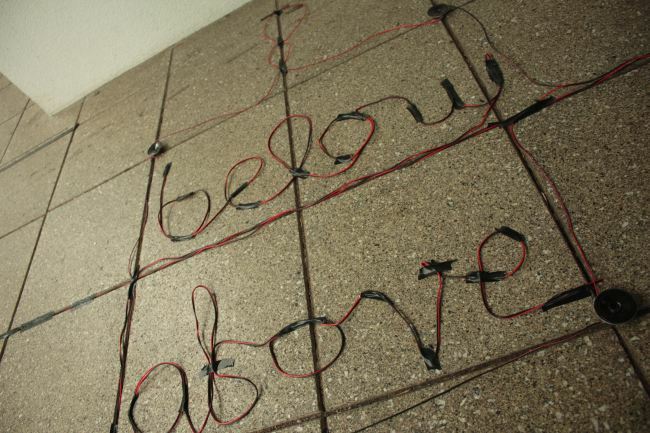 The speaker cable spells out “below above”. Inspired by Abraham Cowley’s poem which talks of the pleasure of the sound and ambience of a sultry garden I made some recordings using contact microphones and hydrophones of sounds you wouldn’t normally hear: deep under the soil, moving leaves and the stripping of bark. In which the frantic world does burn and sweat! But, we thought we’d also share a few pictures here too! Thanks to all the participants, visitors and Warwick District Council’s Arts Development Service. And lots of things still in development; it’s also a great chance to chat with the artists about their work! Event’s will be from around 1:00pm but we’ll be in the space all day, see you tomorrow! 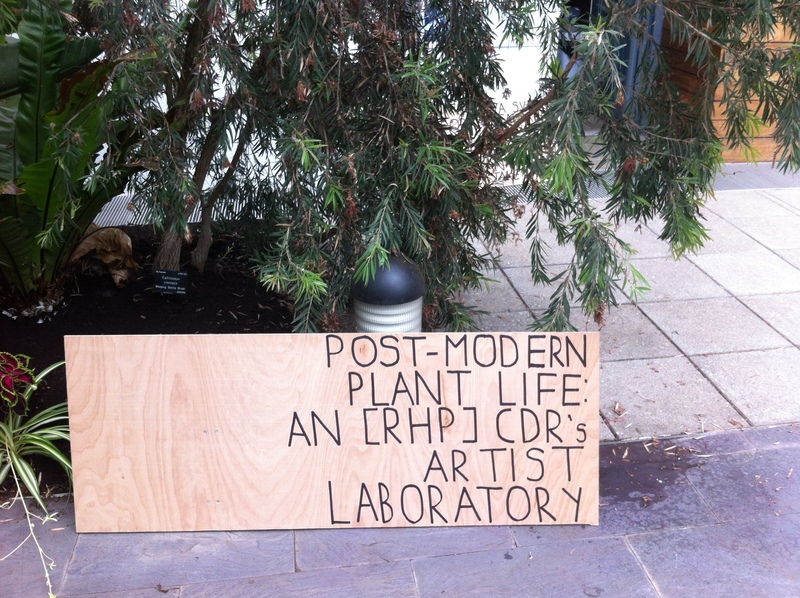 I will be in residence at The Temperate House, Jepherson Gardens, Leamington Spa next week as part of [RHP] CDRs Post-Modern Plant Life laboratory. I’m not sure what I will be doing until I get in the space but probably a performance or installation of some kind. 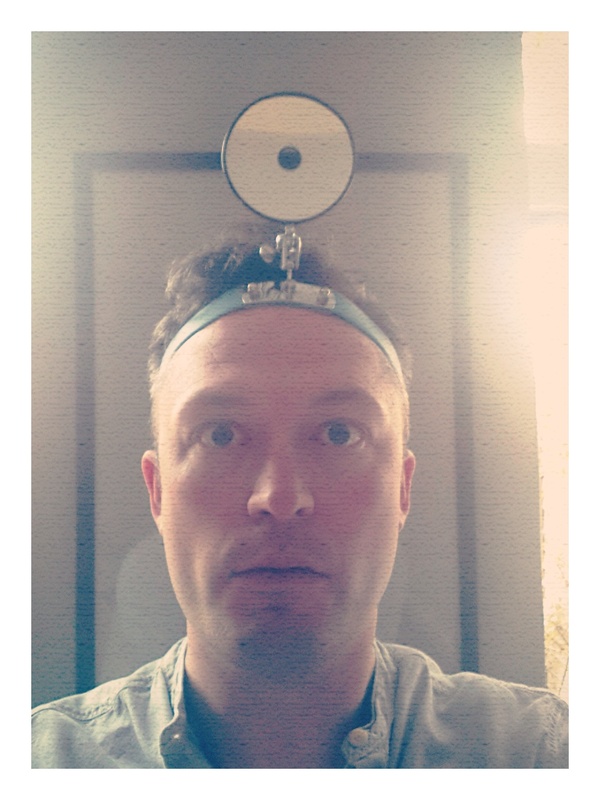 The next installment in this series of text’s is a discussion with Birmingham based Sound Artist Justin Wiggan. You’ve been practicing for quite sometime under a variety of names; can you tell us how long exactly, how many names have there been in that time and how did you come to be involved with sound art and experimental music in the first place? Practicing is a suitable phrase, due to my lack of musicality in technical terms I have been a noisician since I was a child. So around 31 years! Noise has always drawn me in, I think it is because of my very poor eyesight which went on over a period of 3 years from the ages of 6 to 9; I was told that I would eventually go blind by the school doctor, upon hearing this I ran out of the school in sheer panic! Whilst this has not happened my failing eyesight -5.5 in each eye led me to rely on hearing as a priority. So I explored the world through this lens. I grew up in Burnley Lancashire, which during the 1970’s had the last straggling industrial factories and corpses of cotton Mills. The geographical sound was a mist of wagons over cobbled streets, clanging chains and sirens. This phonic DNA has attached itself to me. When I was 10 I made cassette recordings from the radio straight next to the speaker which got ruined on Sunday night as my mother vacuumed at the same time so my early mix tapes had drones running through them. I also discovered that the video recorder we bought (a big 1980’s luxury in Burnley) could be used by plugging headphones into the mic socket so I would dub programmes and football matches with nonsense. My brother and I also recorded visual static fuzz and dubbed ourselves shouting help and tapping the screen. We played it then hid on the stairs trying to freak my mother out. She just turned it off! Unconvinced. So the practicing has been a mapped exploration since then, the names come and go suiting the discovery so I have been in numerous bands but started to take my practice seriously after I left subaqwa. This allowed me to make the decision to make a dedicated and meaningful study of noise with Darren Joyce as d0tb along with my solo practice, firstly as Geography of Nowhere and now as Roadside Picnic. This has led to many collaborations and releases. All can be found by visiting www.dreamsoftallbuildings.com and www.cottoncandyhousefire.tumblr.com. Are there aesthetic differences between your output whilst working under these different names, or is it just context and perception which have shifted? For example did Geography of Nowhere sound or present itself in similar ways to how Roadside Picnic does now? Aesthetics are seeded during initial planning and are farmed to fruition to suit the purpose so they are in constant flux; for example the aesthetics that the Geography of Nowhere (a doom dub band with Nathan warner from Backwards and Stuart Tonge from SWOOMPTHEENG) project commanded a reflective semiotic which was grounded in the musical and lyrical content. Geography of Nowhere was a precursor to Roadside Picnic, focus wasn’t harnessed and as the title suggested not at anchored compared to the more defined locale of a Roadside Picnic where the location is determined. Having mentioned your work with other practitioners could you talk a bit about your various collaborations? 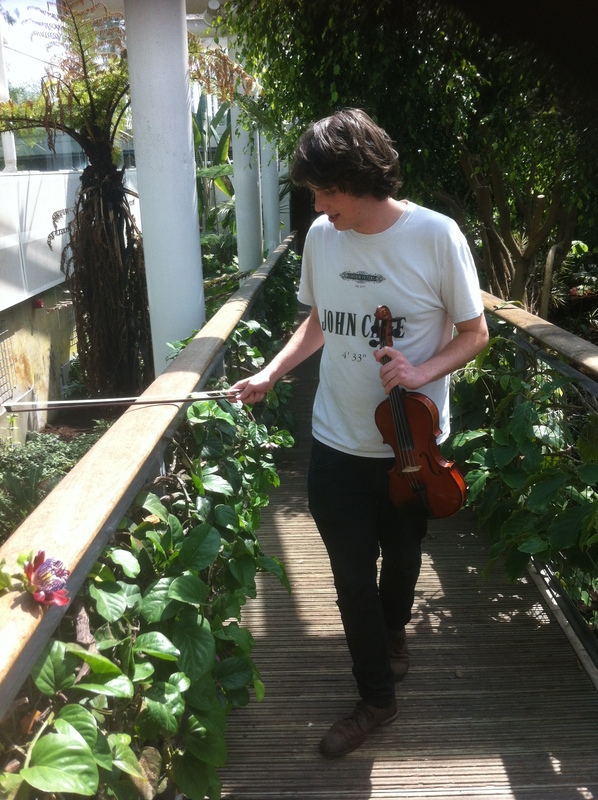 You’ve recently released work with another artist who we’ve talked with through RHP_Transcripts, Sindre Bjerga and you have an ongoing project where your working with Ikon Gallery and John Taylor Hospice. Are there other collaborations? How crucial is the process of collaboration to your work? Collaboration is a fulcrum for my pathway. I do not see myself has having particular skills which only function isolated from being germinated and seen through the lens of others in terms of experience, reflection and critique. This is from a realization that there needs to be pollination, that I cannot carry a concept without guidance. Not that solo solitary investigation is redundant but I feel that my exploration relies on a mapping whether that be personal, emotional, digital or analogue. That is not to say that an exploratory spirit is not present in my practice, Kandinsky gave a beautiful illustration of the moral obligations and responsibilities of a creative and cultural engineer (which is how I see artists) in his book “Concerning the Spiritual in Art”, this is a book I try and revisit every 5 years to gleam some new information from. He outline’s a position that an artist has the responsibility to share experience and enlightened discovery in some way to benefit society; he represented it as a 45 degree isosceles triangle, the moral obligation as the artist ascends towards enlightened knowledge is that they would share the experience and bring all of society further up the slant (representing collective wisdom) this would be carried out over time (represented as the base line). He made connections to a similar process of Moses sharing the Law with the Israelite Nation based on the act of sharing. However, this also presents an issue of hierarchy and tourism. It seems there are creative choices in the system we occupy to be either an explorer or a tourist. These two however cannot function without each other. The explorer would not have the drive if it was not for the need of the tourists to require the pioneer to hack their way through the psychological forest and report back, clearing a path way to be followed. On the other hand the tourist would not be able to feed this desire if the explorer did not have a selfish drive to discover and create based on the need to be loved and accepted.This seems to be the realm in which I operate and the collaborative lens is seen through the explorer and the tourist. At times scrambling from discarded scraps in the same manner as Richard Dreyfus building the mountain in “Close Encounters”. The ideal of loosing yourself in the creative act is a danger for me anyway as I need anchors. Those anchors are of even weight to my own input and valued as so. One of the rewards of this is seeing and hearing work back and not feeling it belongs to me or has my style. This I feel is very important to gauge the success of a work. By collaborating I am relinquishing elements of ego and control though arguably creating new ones. So, works with Sindre, Maurizio Bianchi and Abul Morgard are part of this explorer/tourist model. I see myself as student in most cases learning from masters. My work with John Taylor Hospice was born from my recent exposure to cancer and so again looked at the collaborative nest as part of the creative act. The collaborative setting for Life Echo is slightly angled. Life Echo is an art based enquiry of sound and memory in collaboration with Ikon Gallery and John Taylor Hospice. A Life Echo is the provision of a personal phonic map created from memory trigger points, sentimental two dimensional or three dimensional objects and nostalgic recall from individuals who are at the end of their lives. A Life Echo is a therapeutic sound based narrative experience based on shared memory data and can form part of a legacy foundation for families. 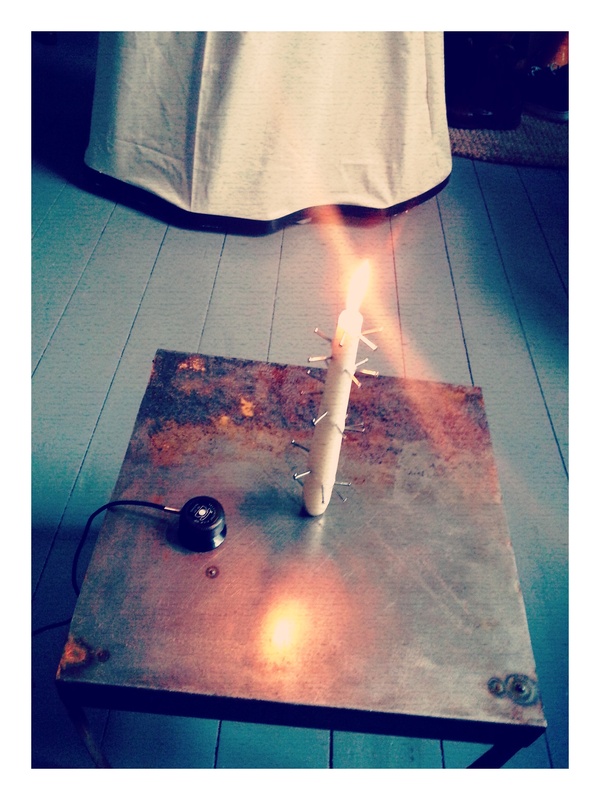 A Life Echo is a safe, shared, deep listening space. Life Echo will attempt to change how we interact with our own memories and how we can approach death. Life Echo has the potential to become a provision of service in ground breaking creative care. More on this can be read at: http://www.life-echo.com So the function is the collaboration of results. I also have a few more collaborations on the curve; two more with Maurizio Bianchi, a dance piece with Genevieve Says, a rewriting of Swan Lake as the worlds first harsh noise ballet with Rosie Kaye, a project with Jean-Sébastien Truchy, and with hobo cubes, then I will be focusing on my Plastik Tonez series for Jehu and Chinaman Records which is a huge Reconstruction project. Collaboration can also be subjective to related objects so I intend to focus on this notion of reestablishing nostalgia as a disease with University of Birmingham by extracting sounds from the objects in their Culture and Research collection and the dephonicating the nostalgic power they hold. I also plan to file recordings of Joan Collins workout vinyls into the sarcophagus they have. Again this is done in the spirit of investigative collaboration. So how do you predict that these specific collaborations with resolve themselves? You’ve used so many presentation devices; performance, cassettes, publication… are these formats that you have a commitment to or have they just been useful so far? Resolution is not a necessity. It increases the consciousness of progression, so success is monitored by what it leads to not just what is rememement. There is an expected field to negotiate with materials and pathology of experience but I feel that value is found in the process, in which learning is actively meditated on. Prediction therefore is about management of execution not result. 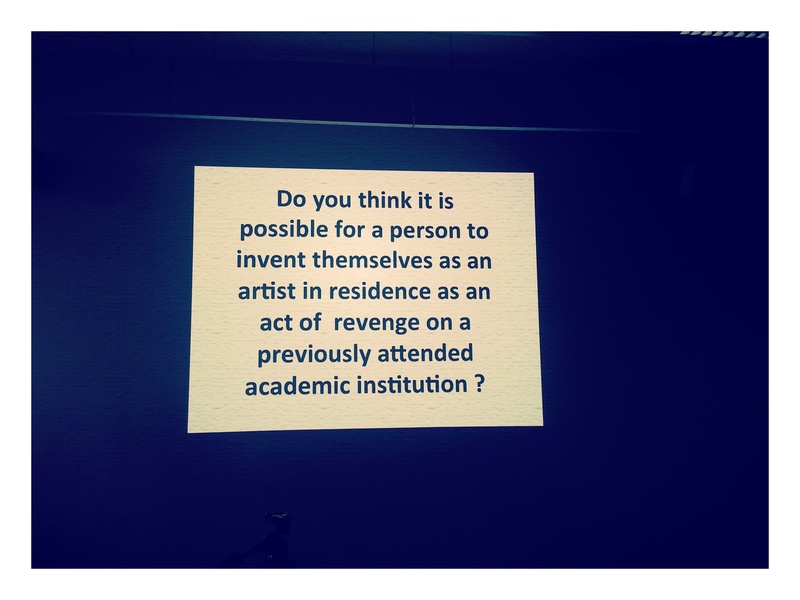 Presence of peer acknowledgment is also an interesting problem, does acceptance both favorable and denied mean artistic success if from peers? My guilt flickers in between these states; whilst I have a romantic ideology of phonic, cross-disciplinary collaborative exploration there is a duality, a disagreement with ingrained wishes to be successful in a monetary realm. This is very much a subject for some recent work I made at Vivid Projects with Nicholas Bullen and Cathy Wade called “Noise and Capitalism”. The doubt of self in the channel of artistic guilt in the system we occupy means that we compromise on ideals without control. In terms of presentation devices, it is always influenced by budget! Whilst I throughly agree that resolution is not a necessity I think we’ve reached a good point to draw this discussion to a close. Are there any projects coming up that you would like to mention here? There are a few things on the horizon including collaborations with Maurizio Bianchi amongst others, a residency at Kingshurst Artspace in July called “The Myth of Twilight” and a residency at University of Birmingham called “The Germinating Lens” in October. I’m also working on a live essay exploring how The Smiths referenced Queen in every one of their songs. Also, keep up with life echo at http://www.life-echo.com And… Mosaic of Teeth with Nicholas Bullen, Anthony Donovan and Illios amongst others which will be released on 4 ib Records.